Poor Martin's Almanac: Introducing Jack! 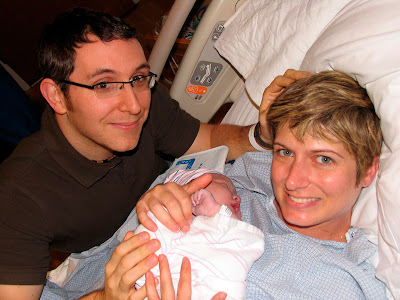 Ann and I are thrilled to announce that Monday evening, March 31, at 6:37pm, Ann gave birth to Jack (full name, John Glen Jordan) at Northside Hospital in Atlanta. 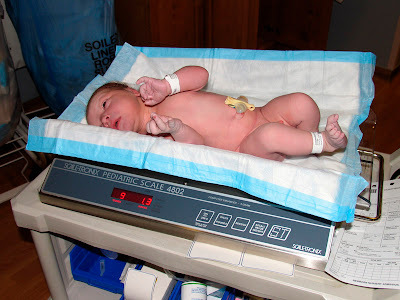 Jack weighed in at a hefty 9lbs 1oz and measured a lengthy 22in. Ann was due back on March 23 but, that date having come and gone without the least contraction, Ann and her OBGYN, Dr. Jose Garcia, scheduled an induction for the morning of March 31. Jack's delivery began at 4.30pm Monday afternoon. 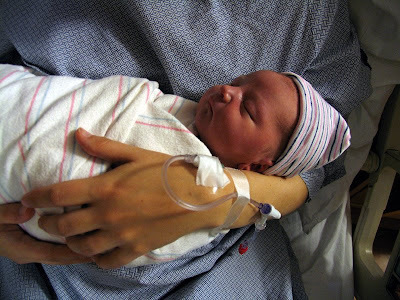 It was a long and tiring delivery for both Ann and baby, but they're both doing fine. Jack had a little trouble with his breathing at first but he is getting on great now. Stay tuned to this website for more news and pictures of Jack in the coming weeks. CONGRATS!!! He is SO cute!!! At 9 lbs, he looks so healthy and beautiful!! (instead of a mini wrinkled old man as do some) I am so happy for you both and can't wait to meet him!! 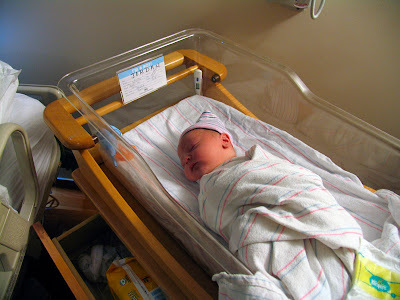 All 3 of my kids were big babies, what is great is that they take to nursing right away...and with gusto! Well done, Ann! Lucy is particularly impressed that you were carrying around such a big boy. Enjoy every minute, even the late night stuff. We're excited for you both and can't wait to meet Jack (and for you all to meet Frances). Congratulations to the new Mommy & Daddy. You made a beautiful little boy. Jack's going to be a heartbreaker - you can see it in his cute little cheeks. I am so excited that you guys had a BOY! I can't wait to meet him! Ann, how do you still look beautiful after hours of being in labor?!?! Congratualtions to both of you. Your life is forever changed...for the better! Welcome to the world JACK! All the best to two of my dearest friends!!! Congratulations and welcome to the parent club. Enjoy the ride. It's the best. Jack is gorgeous. Stop in and see us at THINK sometime. Nine lbs, heck, just put shoes on him and send him to school. Jack is quite the looker. Congratulation you two, he is beautiful. What a precious BUNDLE OF BOY!!!!! We are so happy for you. 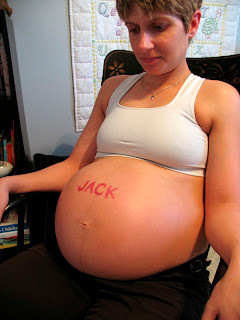 Can't wait to meet Jack. Congratulations on your new baby boy! Jack is beautiful and you both look great. Stop by at THINK so we can meet him and see you.